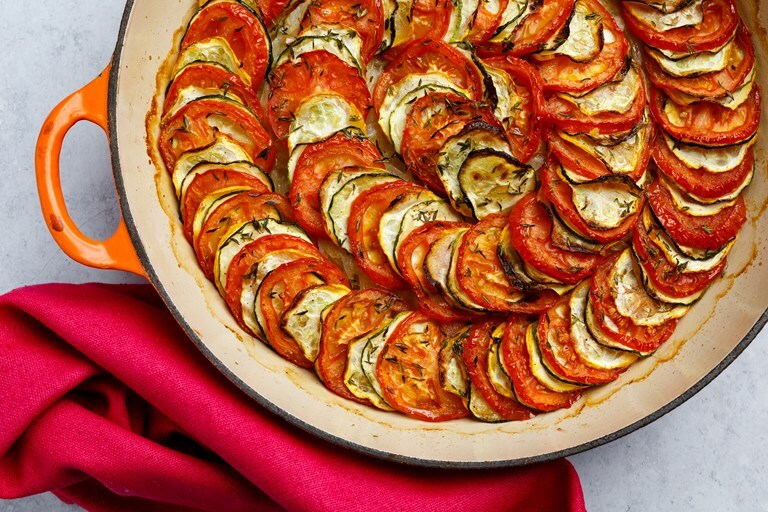 This stunning gratin by Bryn Williams puts courgettes and plum tomatoes centre stage. The final dish is spectacular, but it couldn't be easier to make, and the flavours are perfect as either a simple lunch or an accompaniment to a larger meal. You will need courgettes and tomatoes of roughly the same diameter for maximum visual impact.